We went to eat & Planet Hollywood & my oldest son, found this flyer that Darth Maul was autograph signing at one of the shops. So after eating we set out to try to find the store...we came around the corner & there was a ton of people standing around taking pictures of a bunch of guys with light sabers (is that what they are called?) they were all dressed up like the star wars characters. Well...we made our way through the crowd, to a table where all the photographs were laying out, and I asked the lady, looking over at all the comotion "Which one is Darth Maul" she rolled her eyes, and she said "None of them! We don't even know who they are!" She pointed to the cute guy way away from all the crowd, "That's him way over in the corner." I just laughed & said..."well, at least they are drawing a huge crowd for you!?" We were the only ones in line & at the table, so Ray (Darth Maul) felt free to come over & talk to the kids, put his arms around them, and asked them a bunch of questions...it was very nice that he took the time to come over & talk with us, one on one.... & he is as cute as a bug and ohhhh so charming. He has the most brilliant, perfect white teeth, I have seen in a long time. And he a firm handshake, I like that in a man :) confident! Anyways, the kids were extatic, they had photo's taken with him & he autographed the pictures. It turned out to be a fun time with the kids. 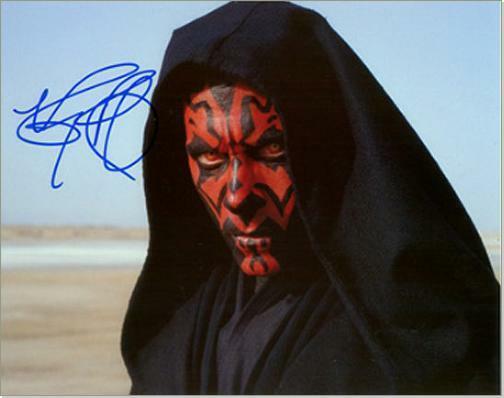 The kids love the Star Wars movies....but I have to admit, I haven't watched one of them, until last night, we came home @ watched the one that Ray was in "The Phantom Menace".... it was a good movie. 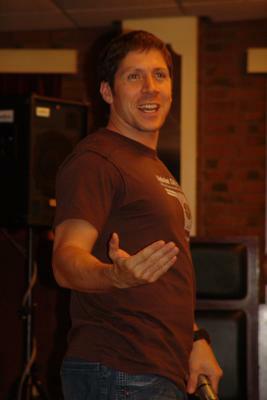 In person, I expected Ray Park to look like some scary dude, but what a cute & nice guy he is. He has a lovely accent, (born in Scotland) and he lives in London & I hear he is excellent in Marital Arts. So I am wondering why all of a sudden this sudden brush with all these celebrities this summer? Gosh, let's see.....hmmmm.....it's been 14 celebrities, I am not into celebrity gazing, but it has been fun for the kids, to meet them all...so now, they both have a nice lil' collection of autographs. Wonder who we will meet next? It is not too early to start your Christmas shopping! Find 14k at our online shopping mall. We have a great jewelry department with a full range of fine jewelry and a GIA jewelry to answer your jewelry questions.